Well my friends, I'm saddened to announce that Vince Perri, the man who started Action 52 and has long since been a popular topic in the gaming industry, passed away on March 6, 2012 at age 69. One of my site readers, initials KRM, just recently made me aware of this information. Upon close examination, the information appears to be correct and accurate. It all matches up, age, place, wife and sons name, etc. Perri, Vincent D., 69, resident of Miami, Florida, born in Brooklyn, New York to Louis Perri and Marie Montemurno on March 29, 1942 passed away on March 6, 2012 in Miami, Florida. He is survived by his wife Elvira M. Armada Perri and his son Vincent D. Perri. Most of you have heard about him, but few have met and known him personally. I had the distinct pleasure of knowing and working with him. As hard as he ran the Action 52 team developers and project, he still had a soft side to him. I've written about the late nights at 3AM when he would bring me cuban coffee and we'd listen to golden oldies in the office. I saw firsthand the way he provided for his family and loved his wife and son. What he did back in 1991, over 20 years ago, has affected those that have never even met him. His vision of creating a 52 game cartridge was a monumental undertaking and, bar the naysayers, helped developed a love and understanding of gaming that thrives to this day. Something about this man inspires. I will always remember the man who allowed us to live his dream. To his friends and family, those closest to him, may you find the comfort you need and rest assured that he will not soon be forgotten. That his name will live on. To those of you who were inspired by him, may you continue to strive for the greatness he personified. For everyone else, let him rest in peace. I've enabled comments for this post for those of you who would like to leave a parting message for Vince and his family. I've always wondered about the mysterious man behind the infamous Action 52, and here today I learn that he has passed. I shed a tear, despite never knowing him. Rest in peace, Mr. Perri. Hello. 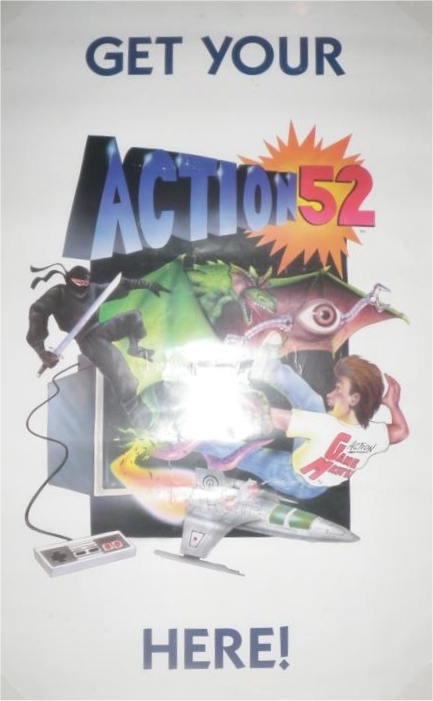 I am a fan of your game Action 52 (for the NES and Genesis... though I'm more familiar with the original NES version). Never had the NES in the first place, but I learned of this collection via the online videos. This makes me think about myself and my own efforts to make my own games... not in the form of a 52 in one collection, but just a single game (maybe with a bit of an oversized idea, or perhaps an idea that's a bit too shallow). I still intend on completing one myself sometime (actually, I have done one, but I have quite a few concepts for another game)... May you rest in peace, Vincent Perri. From KungFuFurby.